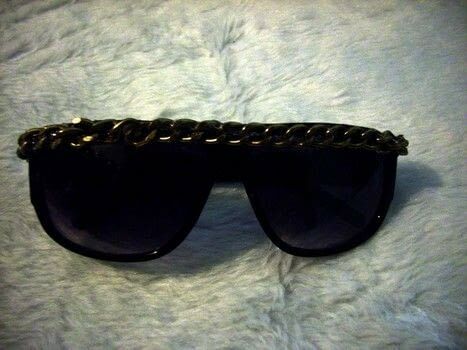 Cost for Chanel Sunglasses $2,200 - DIY'ed for under $4. These were inspired by Chanel Sunglasses here which retail for $2,200 which they tout as being seen on Lady GaGa. 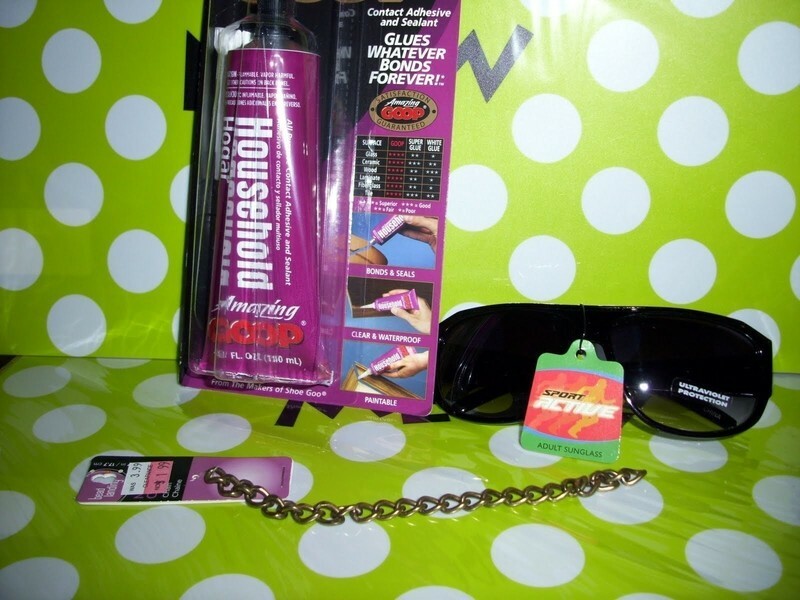 They had something similar at Afaze, Chain Link Sunglasses,but with shipping and handling would have ended up being over $10, so instead I decided to make a trip to the dollar store and the craft store and DIY my own. Make sure the chain is not to wide for the top of the glasses, if so, find a skinnier chain. If you are going to use a ribbon, thread it back and forth through the chain then glue it down on the ends. 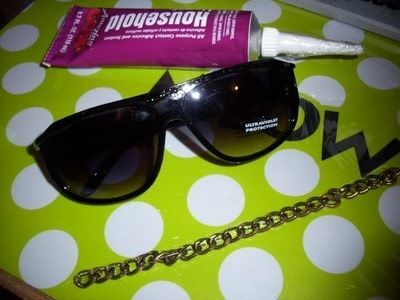 Apply glue to the top of the sunglasses. Apply a thin line of glue on the top edge of the sunglasses and on the back side of the chain. Let it set for a minute then put the chain on the glasses and allow it to dry. If you are worried about the chain slipping, use clothespins to hold the chain in place until it dries (but be careful not to use it in an area where the glue is coming through the chain). I only applied a chain to the front, but if you want it to look more authentic, glue pieces of the chain to each side of the glasses. Wear with pride knowing you are stepping out in style. Wicked! I really wanna try this. these are too fabulous to not have any comments. You did a great job!